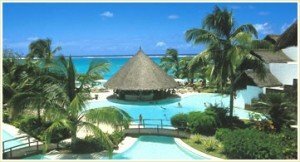 One of the top 5 destinations for honeymooners, Mauritius is an ideal choice. Nestled in the Indian Ocean, the island is truly a lover’s paradise. The stretches of white sand, sun drenched beach, lush green plantations, towering mountain ranges, cascading waterfalls, the never ending rainforests are heart rendering. The days spent here with your beloved will be etched forever in your memory. Other places of interest include Old parliament, Bandaranaike Memorial International Conference Hall, Independence Square, Hindu Temple and Town Hall. The ancient cities of Pollonaruwa and Anuradhapura and Galle, the ancient sea port are fine examples of Srilanka’s ancient civilization.